Description: Check out our inflatable boxing ring with over size box gloves. 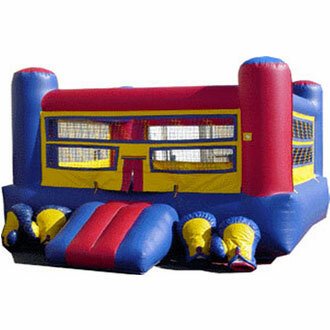 This boxing ring Rental is great for all types of events, challenge all of your guest to a friendly boxing match. This unit is 15′ long x 15′ wide x 8′ high. Keep in mind it required an extra 3-4 feet of space all the way around the boxing ring arena.